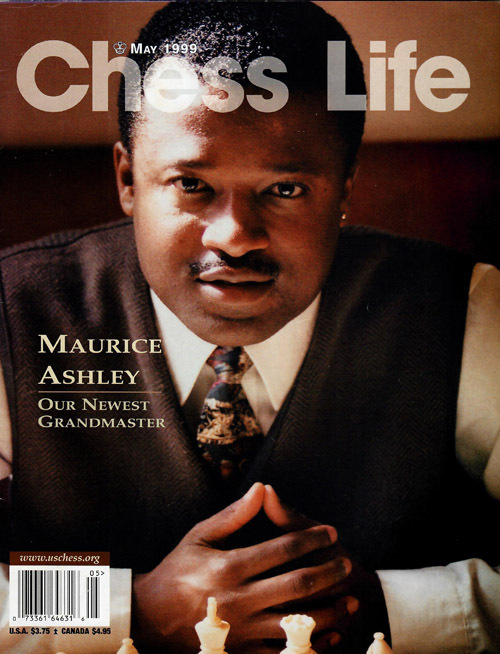 Born March 6, 1966 in St. Andrew, Jamaica, Maurice's family moved to Brooklyn when he was 12 and he took up the game of chess after learning the moves from his brother. After being thrashed his initial game against a friend, he went to the library and was inspired by a book on former American World Champion, Paul Morphy. At that moment, he fell in love. Despite the fact that he couldn't make his high school team at Brooklyn Tech, he began to play in local tournaments. Later he sharpened his game by playing a contingent of Black masters in the Black Bear Chess Club. Maurice's progress was rapid as he earned the rank of National Master in 1986, eclipsed the 2400 barrier (peaked at 2606!) and later earned the rank of International Master in 1993. 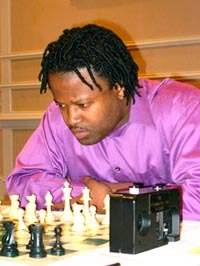 After taking a break from his successful coaching career, he earned his last GM norm at the Manhattan Invitation in March 1999 becoming the first U.S. player of African descent to earn the coveted title. Maurice has been a constant subject in national and international media appearing on countless programs, and in addition, has achieved worldwide fame in the chess world by serving as commentator in the Kasparov-Short and Kasparov-Deep Blue matches. He also has one of the best instructional CD-ROM programs on the market entitled, "Maurice Ashley Teaches Chess." The interactive format combined with Ashley's trademark exciting sports analogies makes learning chess both easy and entertaining. As a player, his most recent success has been his string of strong performances at the Foxwoods tournaments. In the 2002 Foxwoods tourney, he finished second, and as a result, qualified for the 2003 U.S. Championship which will take place in Seattle. His mixture of charisma, poise, and intellectual acuity exemplifies a shining example of a chess master we can be proud of. Profile by Daaim Shabazz. Photo by Jerome Bibuld.